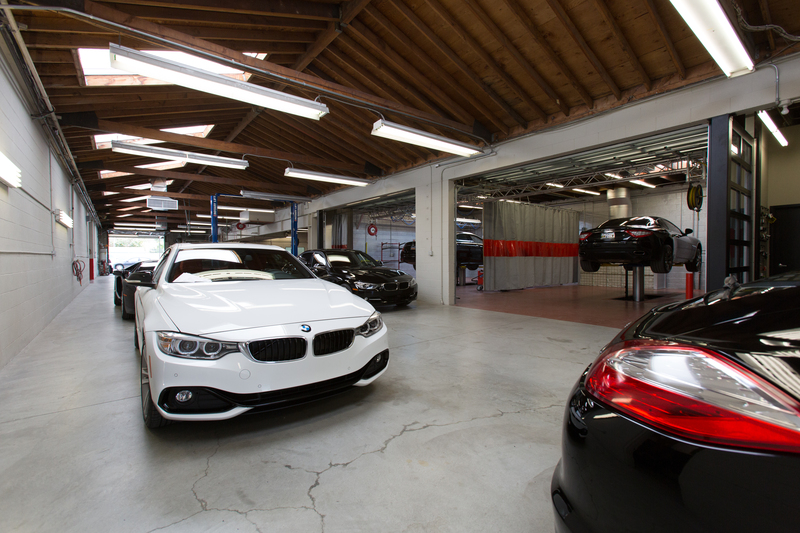 We have the experience and expertise to be your trusted collision repair specialists. Below is a general step by step process for most repairs to give you a picture of what you may possibly expect. Please review our FAQs and always feel free to call with any questions. Should you have an accident, call us and we’ll arrange a tow truck to drive to the scene of the accident or the location of the car. 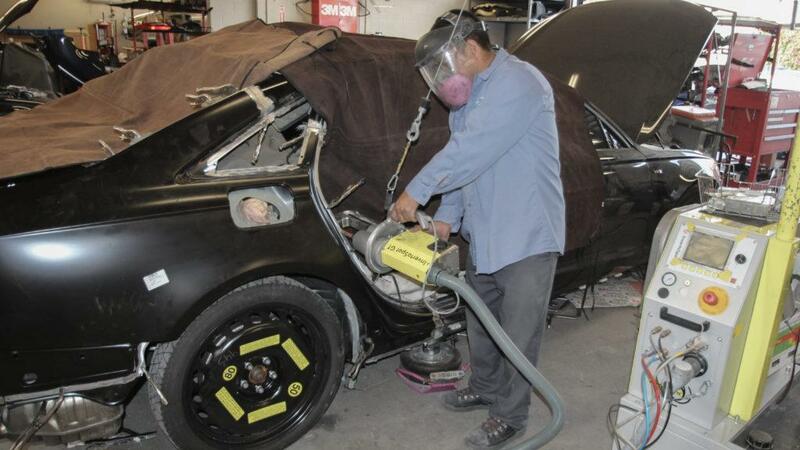 Collision repair can be a tricky process. We do our best to give you the best and most accurate estimates possible. 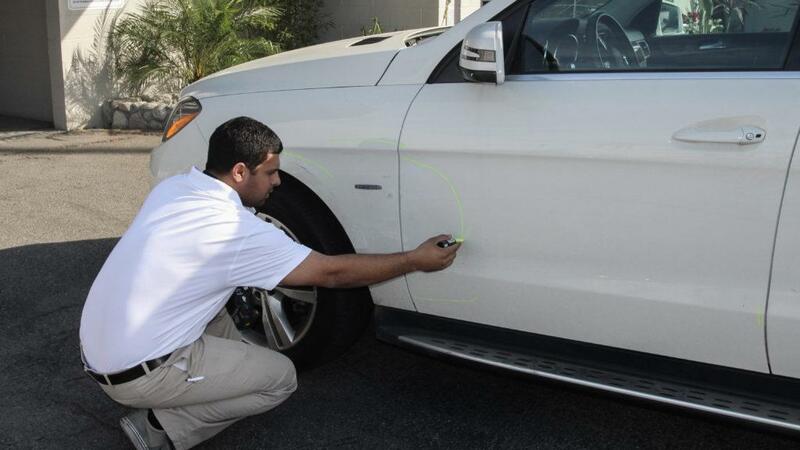 We do this by fully inspecting your vehicle and inputting the data into our estimating system. There are often “hidden damages” that cannot be seen until the car is fully disassembled. Once we’ve checked in your car for repair, we will call Enterprise to come pick you up. If you’re not renting a car, we have courteous staff members who will drive you to where you need to go. The completed estimate is then submitted to your insurance company for review. This starts the negotiation process. Once an agreed price has been reached, your car can begin repairs. As mentioned above, most repairs have hidden damages that cannot be seen unless the vehicle has been disassembled. When hidden damages are found, the insurance companies will have to re-inspect your car to see the additional damage, resulting in a supplement. If needed, more parts will be ordered. This is an important part of the collision repair process. We want to make sure the integrity of the car is back to its original state. Once insurance has approved any supplement, if it was needed, we then order parts for your car and availability is checked. Depending on the type of car, special orders may result in delays. Backorders can also add to the delay of the repair. Should your car require structural repair, it will be determined in the disassembly process. We only fix our repairs back to factory specifications so we have invested in a sophisticated measuring system to make sure we fix your car to these specifications. We use several tools and equipment approved by the multiple certifications we represent and Celette dedicated fixture system, which duplicates the process the car is manufactured and is approved by Mercedes-Benz, Porsche, Audi, and BMW. 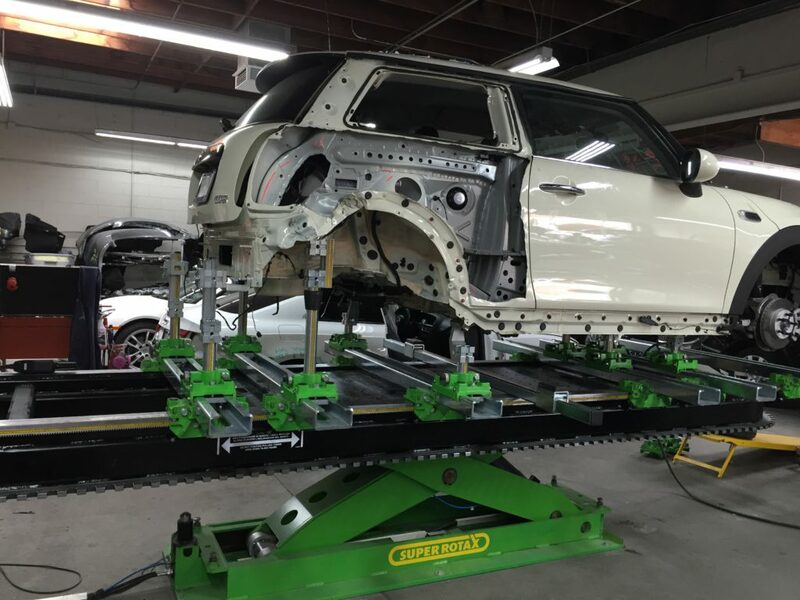 We also use The Global Jig for structural repairs as required by Maserati. Our technicians will either replace or repair the exterior panels during this process. Every area that was repaired on the body of your car and/or the new/repaired panels will be prepped for paint then primed and jammed. It is then wet sanded and ready for paint, top coat and sealer. Once your car has baked in our booth, we buff the painted areas. All parts including the moldings, decals, stripes, etc. are put back on your car. All of the vehicle’s systems are inspected and/or reset at this time. Any other extra services, such as wheel alignments or resetting the electronics, will be done at this time. The repair process can result in accumulated dust. We completely wash and vacuum your vehicle. A final inspection will ensure that your vehicle will look like its pre-accident condition. 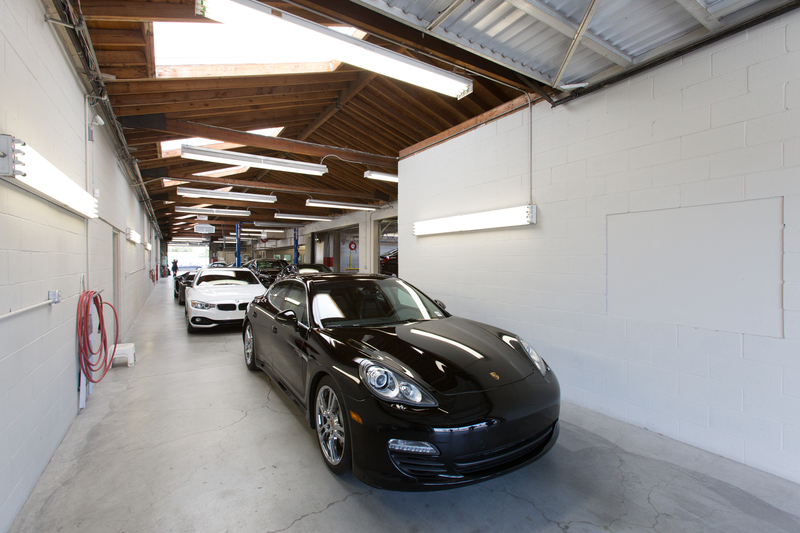 You will be able to pick up your car and inspect our repairs. Our courteous staff will explain your final bill and collect your deductible. It is recommended to not polish or wax your car for 90 days in order for the paint to cure. Generally, you can take the total number of labor hours on your initial estimate and divide it by 2.1 hours (touch time per day). The time begins once we receive the insurance’s initial estimate. This time does not factor in any parts delays or insurance inspections or re-inspections that could add to delays. If there are any hidden damages, this will add labor hours to the initial calculation. For example, the initial estimate says a total of 10 hours therefore it will take approximately 4.7 days or 5 BUSINESS days. If hidden damages are found and an additional 5 hours were added to the estimate, then the estimated date of completion is 7.14 days or 8 business days. Can my insurance company dictate where I have my car repaired? By law, the insurance company cannot tell you where you can fix your car. 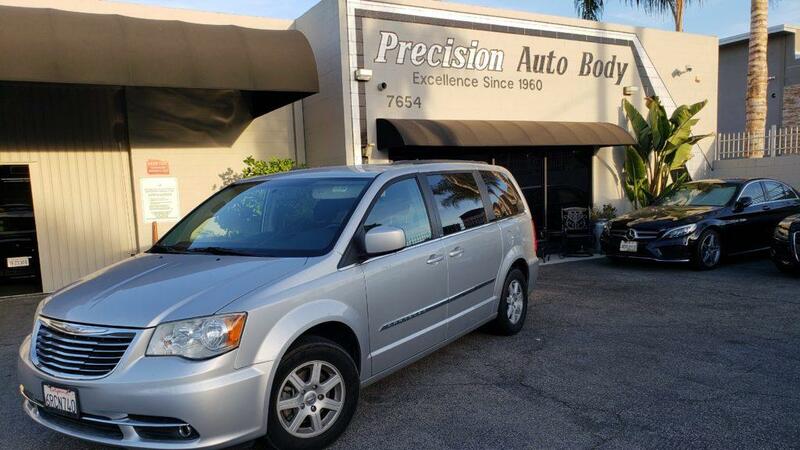 You have full authority to choose Precision Auto Body as your body shop. It’s not necessary to get more than one estimate. We work well with all insurance companies and will work hard to get what’s needed to fix your car right. Can I get a ride home when I drop off my vehicle for repairs? We will arrange Enterprise Rent-a-Car or your choice of rental company for you to pick you up. We also have courteous staff members to drive you where you need to go, if you decide to not rent a car. Does Precision Auto Body warranty for as long as you own the car? We offer a limited lifetime warranty for as long as you own your car. What if my car has frame damage? Our trained technicians can repair your car to manufacturer’s specifications utilizing our specialized equipment. Can you match my paint without painting my entire car? We use a computerized color system and blend out the color to ensure a color match. 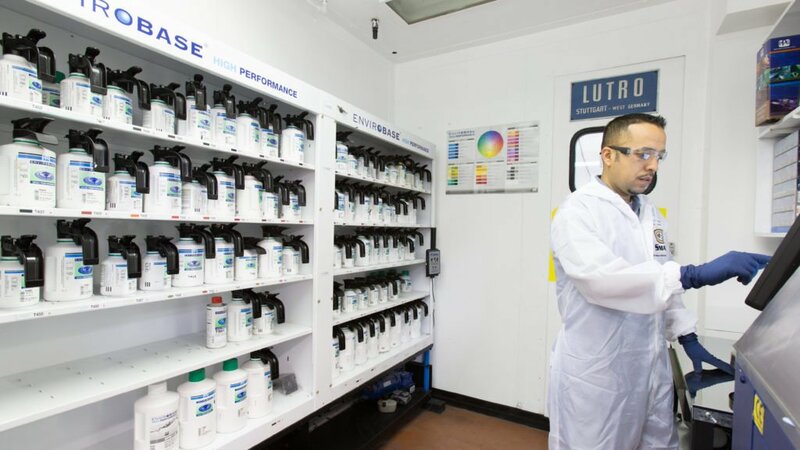 What kind of paint does Precision Auto Body use? My car needs unrelated servicing. Can Precision Auto Body do it for me? We will gladly deliver your car to the dealer for whatever servicing that is needed. When can I wash or wax my car? 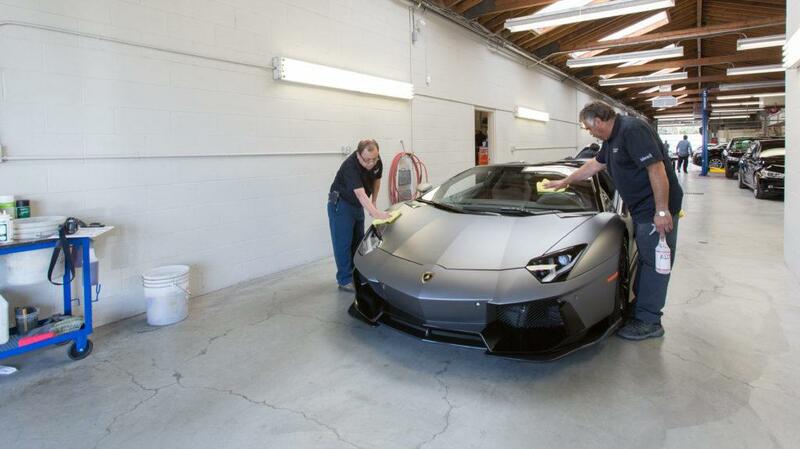 It takes 90 days for your paint to fully cure on your repaired car. You can wash your car immediately but you have to wait 90 days to apply any wax or sealers. We work well with all insurance companies. If you choose to go through your insurance company, you should notify your assigned adjuster that you have dropped off or intend to leave your car with Precision Auto Body. You as the owner of your vehicle, are responsible for all charges incurred to repair your car. You must authorize all repairs, even if an insurance company is paying for the repairs. Many Insurance policies state that they use after-market parts. Precision Auto Body will notify you if your insurance company only pays for after-market parts, and you may have the choice to pay the difference for factory parts. Precision Auto Body does not warranty the fit or the finish of after-market parts.